Welcome to the Internet home of the Summitville Elementary School Goblins. We’re glad you’re here! Located in the rural, small town of Summitville, Indiana, we are one of two elementary schools in the Madison-Grant United School Corporation (MGUSC). We understand that excellent communication between all within our close-knit family—our school, our students’ parents, and our community members—will aid us in achieving our goal to effectively lead and educate every student who comes through our doors. As part of this effort, we invite you to visit this website often and find out about all of the great things happening at our school. I cannot express how so honored I am to be the principal of Summitville Elementary School (SES), where it is always a great day to be a Goblin, working hard and being kind. The Summitville faculty and staff value our parents and our community. Come and see us. Be a part of your child's school community. Join our PTO and volunteer to assist with the ongoing success of our school. 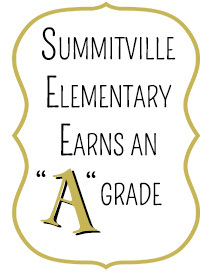 We welcome you and want you to be a part of the Summitville family. Follow us on Twitter for daily news updates and sneak peeks of our school day. We like to capture the great things occurring at SES each day. It is our immediate way to connect to you. You might see your very own Goblin learning and participating in the great daily activities in our school. Stay up to date on your student's progress by checking PowerSchool. If you are not sure how to access his/her account, ask your Goblin or call us. It is important to us that you have the information you need. Teacher email addresses are also available on Our Staff page. Email is the quickest way to communicate with us. Feel free to call anytime too. Support the Goblins this year by involving yourself in our school. We have a lot of fun things planned for our students and our families. I personally want to get to know each one of you and work with you for the best elementary experience possible. We love having your child at Summitville Elementary School. We are proud Goblins.